Mike Huckabee, former governor of Arkansas and a strongly pro-Israel Evangelical Christian, has partnered with MK Rabbi Yehudah Glick in an effort to encourage millions of Israel lovers around the world to sign the historic Jerusalem Covenant. The Jerusalem Covenant is a renewal of the Biblical pact between God and the Jewish prophets affirming Jerusalem as Israel’s eternal and united capital. Originally written to mark the 25th anniversary of the city’s reunification, its significance is greater than ever as the city approaches its jubilee celebration of 50 years since Israel’s victory in the Six Day War. In 2013, Israel advocacy organization Israel365 decided to give Jewish and Christian supporters of Israel around the world the opportunity of proclaiming the Jewish people’s ancient Biblical right to Jerusalem by signing their names to the Jerusalem Covenant online. 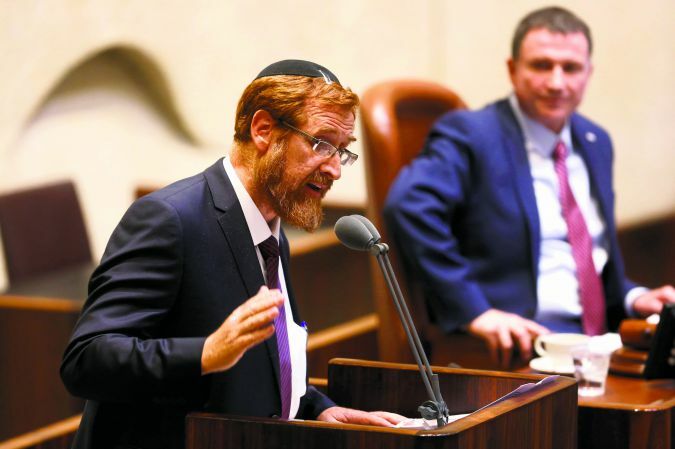 Last year, Israel365 teamed up with MK Yehudah Glick, a passionate advocate for equal right to prayer on the Temple Mount and a strong believer in Jerusalem as the city of peace for all nations, to help bring the Covenant to more people.